F could stand for the fabulous and fantastic experience of becoming a new parent, or the fear of failure that also comes with the territory. A couple of minutes into the debut episode of a new PBS web series, we see a rapid succession of words and phrases that begin with the sixth letter of the alphabet. But only one of them can be found in the show’s title. 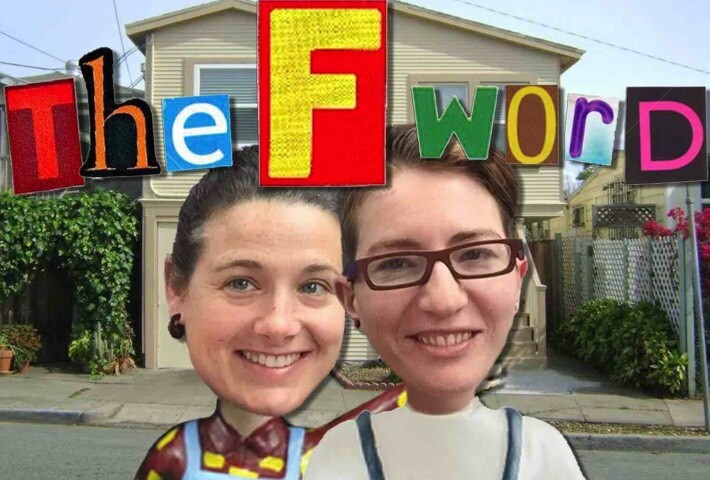 “The F Word: A Foster-to-Adopt Story” follows an Oakland, Calif., couple, Kristan and Nicole, as they wade through the foster-to-adopt process. The series began Sept. 14 and comprises six episodes of eight to 12 minutes each. Family Design Resources’ Charity Brallier and Alyssa Burrell Cowan will be among seven expert panelists participating in a twitter chat (at @thefwordseries) when the third episode debuts at 2 p.m. Sept. 28 at thefwordseries.com. The topic will be parent support in the adoption process. Of course, as Family Design Resource’s name implies, families are formed, or designed, in many ways, including adoption. The third episode is supported by the Adoption Exchange of America, which invited FDR to participate in the chat. FDR is a long-term member agency of the Adoption Exchange of America. Its staff supports the Pennsylvania Adoption Exchange, a major component of the Statewide Adoption and Permanency Network (SWAN) administered by the Pennsylvania Department of Human Services. Brallier is a program technical assistant and Cowan a legal training specialist with FDR. In the first episode, we learned that the Oakland couple considered private and international adoption. But they recognized the need in foster care, pointing out that nearly one-fourth of the approximately 428,000 youth in the system are waiting for adoption. Not only is there great need, but Brenda Lawrence, FDR’s executive director, noted that it doesn’t cost anything to adopt from the foster care system. •	Pennsylvania has robust post-permanency services available to any adoptive family, even if the adoption is private or international. For more information about adoption from Pennsylvania’s foster care system and the resources available to adoptive families, call the SWAN Helpline at 1-800-585-7926.